Owning a pet comes with massive amounts of joy. Having a pet gives you someone to play with, possibly cuddle with, to talk to even though they don’t understand most of what you are saying, and more awesome joys in life. However, all of that comes with a price sometimes. I remember when I first brought my Shiba Inu, Katya (Russian name for Kathrine) home. She was the most adorable thing in the world, like a big fluffy bundle of fur that I just wanted to squeeze, but I also remember what a pain it was to train her. If you know very little about Shiba Inus, these dogs are the most independent and stubborn dogs that you could ever deal with. They are extremely bright, but do not like to learn commands. Trying to teach them any command, they will look at you and think this human is strange, then they will most likely walk away. Since training was so difficult, I was afraid to leave Katya roaming the house for fear she would destroy something and I did not want to cage her all day. I am sure many new and experienced pet owners are with me on this one. As result of me being worried about Katya destroying something, I have found four proven and effective ways to entertain your pet while you are gone all day at work or running chores. Though my Shiba is rather stubborn, I am thankful she does not have the energy like other pets. However, if she is not exercised correctly, she will start to act hyper and begin destroying toy, socks and anything else in the home she can get her paws on. Pets are exactly like kids, they need to be able to run that energy off. I am not a parent, but I am an uncle and when I have to babysit I make it a priority to go to the park and play. I want that kid out cold for the night, it’s why I am not a parent yet, I love my beauty sleep. If you are going to leave your dog alone all day make sure they have adequate exercise, so they do not feel a need to release all that energy somewhere else like the toilet paper rolls that you forget to put in the closet. I know, you do not need to be an expert to have told me this one, but I am always surprised how few of people do this. I have seen people leave their dog or cat one toy to play with all day and wonder why their pet still destroyed their home. It is important to give your pet multiple options of toys to play with while you are gone. I leave all of Katya’s toys in a box, so she can go into the box and grab a toy anytime she want to play whether I am there or not. Again, pets are like animals, they seem to be okay playing with themselves. I would get bored, but if they are happy, then I am happy. Though I cannot necessarily prove this one is effective because I do not even own a T.V. I do have friends that swear by this. One of my friends owns three chihuahuas and works full-time. She leaves all of her dogs alone in her home. She entertains them with movies like Air Bud and other dog related movies and tells me it works like a charm. When she leaves for work they are sitting on the couch watching T.V. and when she comes back they are still sitting there watching T.V. I have no idea why this works, but it seems to work for her. When I got Katya, I was at one of the busiest points in my life. I was working a full-time job and trying to launch my own business on the side. I was working 12-14 hour days to make everything work. I had very little time to spend with Katya, so I had a professional dog trainer handle the training and a pet sitting company to watch her and play with her for an hour or more a day. 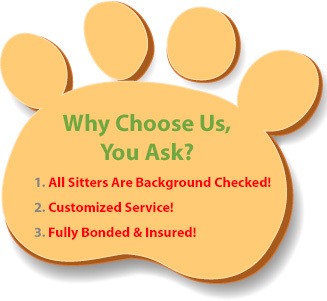 I cannot tell you how much using a pet sitter helped me with my time to build my business. Now I can be home with Katya almost all day long. 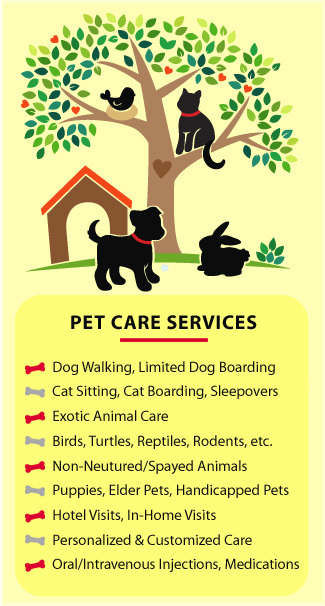 If you cannot devote time to your pet because of work or you are leaving your dog for a long period of time, I would recommend having a professional work with them. 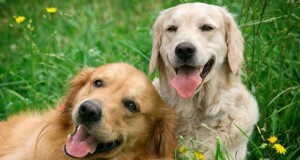 All of the other methods are great, but dogs live for human contact. They need human contact. If you enjoyed this article or know somebody who could use some help with entertaining their pets, then please share this article via social media. Pawtastic!